Visit one of the great achievements of the 20th century. The Panama Canal is an impressive manmade marvel and an influential force for Panama's development. Take a tour of the streets of historic Casco Viejo led by a former gang member in an area that has uprooted the gang culture through grassroots social change initiatives. Hike through tropical flora and fauna to the highest point in the city. 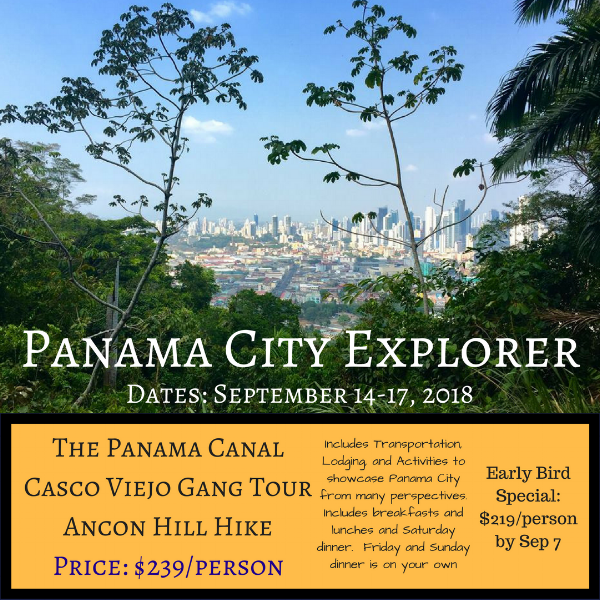 The summit of Ancon Hill showcases views of the sprawling city skyline, the Panama Canal, and the Pacific Ocean that give onlookers a full perspective of the global hub of Central America. Choose between visiting Taboga Island or Panama's Bio Museo. All Transportation: leave from Kalu Yala on Friday after work-day ends, and return to Kalu Yala on Monday before the work-day begins.